Shalom and Welcome to Rice University! Now is the time to decide what you will make of the Jewish opportunities at Rice. We encourage you to enhance your college experience by participating in a variety of Jewish activities. At the Chabad House, it's easy, enjoyable and you will have lots of company. At Chabad we work hard to plan semesters packed with great events. This site will give you an idea of some of the rich opportunities that await you. Make sure to check our calendar to keep up with all that latest that's going on. 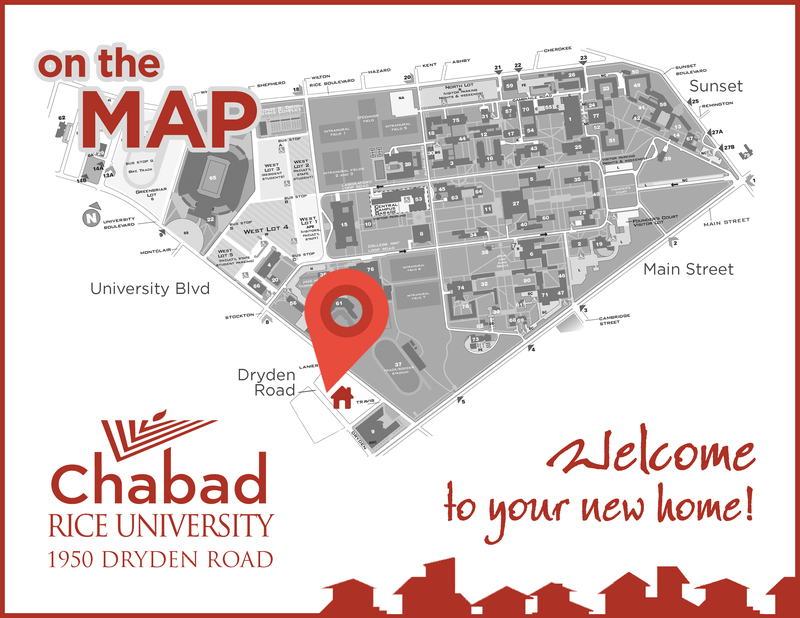 Remember, the Chabad House is your "home away from home". Meet, greet, eat and socialize with other Jewish students in a warm atmosphere. Our activities are open to all regardless of Jewish affiliation, background or level of observance.